All the tools you need to manage, maintain, monitor, scan and secure your domains and websites, all in one place. DNS & network tools, database management tools, file management, website performance testing, website security, web based ftp, and more. Bookmark this page and always start here. 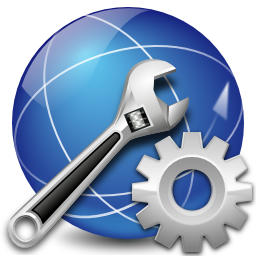 MX Toolbox has a selection of great tools for performing anything DNS related. The site was original focussed on email but has now expanded to DNS lookups, Blacklist checks, Analyzing email headers, whois, spf generator and more. This allows you to check the current state of DNS propagation after having made changes to your domain’s records. dnsstuff.com is similar to MX Toolbox, but has a few extra advanced tools you might need. Domain tools, IP tools, email tools and networking tools. Working out subnets and CIDR is not something most of us can do in our heads. The IP Subnet Mask Calculator makes this much easier and enables subnet network calculations using network class, IP address, subnet mask, subnet bits, mask bits, the maximum required IP subnets and maximum required hosts per subnet. CentralOps provides a number of simple and advanced tools. Best of all they are free. One of the best tools here is the “Email Dossier” which can dig up important information about an email address and even test a connection to an email server. A handy tool to find all the info about any website. Where it is hosted, what it runs on, plugins, CMS etc. Instant access to all real mobile and desktop browsers. Say goodbye to your lab of devices and virtual machines. Test on a range of physical Android and iOS mobile devices and tablets for the most accurate results. This SSL testing tool by Qualys will analyze the SSL certificate on your website, check it is working properly, test encryption cyphers etc and generate a report with a security score. Pentest-Tools.com is an online framework for penetration testing and vulnerability assessment which allows you to quickly assess the security of websites and network infrastructures from a remote location. provides one of the most comprehensive reports of varieties of security test like SQL Injection, Cross Site Scripting, PHP Code Injection, Source Disclosure, HTTP Header Injection, Blind SQL Injection and much more. Sucuri is one of the most popular website security platforms. They provide a FREE scan service, but also offer an advanced web application firewall and security service as well as caching and performance improvements to your site. Securi is a popular and cheaper alternative to CloudFlare. This free HTML WYSIWYG editor program allows you edit your source code online without downloading any application. Guaranteed the best visual webpage builder software you can find out there! Monsta FTP is a web-based FTP client, developed in PHP & AJAX, you can use to manage your website through your browser, edit code, upload and download files, copy/move/delete files and folders – all without installing any desktop software. An online FTP client allowing you to upload, down and edit files via your browser. Very handy if you need to make quick changes to your websites, without having to install an FTP client. Cometdocs aims to provide a complete online solution for all your document management needs. Everything is web-based and completely secure. Privacy is guaranteed. Your personal data, including files, emails and everything else is never shared with anyone. And best of all for users, Cometdocs is available free of charge. The 2 most popular RDBMS systems are MySQL and Microsoft SQL Server. The former has the free MySQL Workbench as standard, but this has had numerous problems with reliability for many years and there are better tools available. Users of the latter have in contrast been spoilt with Microsoft’s SQL Management Studio, which is a slick and well-written tool and all most devs need. There are however some alternatives for MSSQL which have some greater features and functionality. Sequel Pro is an application used to manage MySQL databases (locally or over the Internet). It lets you add and remove databases and tables, change fields and indexes, view and filter table content, add, edit and remove rows, perform custom queries, and dump tables or entire databases. It is compatible with MySQL 3.x, 4 or 5 and now comes in 5 additional languages, including Russian, German, Swedish, French and Japanese. License: A full range of licensing options are available ranging from one to unlimited user commercial licenses with one year of free upgrades. There have been many complaints that MySQL Workbench hangs or fails to respond when put under a heavy load. SQLyog is a more robust product with many additional tools. It’s available in three major versions: Professional, Enterprise and Ultimate. The main difference between the three versions is the number of included features. These include data migration, profiling, visual designers, analysis, batch scripting, backup scheduler, user manager, and database copy tools. At this time, SQLyog is only available for the Windows platform, but, some of the community uses it on MacOS, Ubuntu, Debian, Fedora and Mageia using WINE. A single user license costs $99 for the Professional Ed, $199 for the Enterprise Ed, and $299 for the Ultimate Ed. Multi-user packages are also available. A 14-day trial version of SQLyog is available for download from the Webyog’s website. License: Commercial and non-commercial licenses available. Subscriptions are also offered as an efficient and quickest way to deliver product upgrades and technical support. dbForge Studio for MySQL offers visual MySQL development and administration. HeidiSQL, previously known as MySQL-Front, is a FREE and open source client developed by German programmer Ansgar Becker and a few other contributors in Delphi. To manage databases with HeidiSQL, users must login to a local or remote MySQL server with acceptable credentials, creating a session. Within this session users may manage MySQL Databases within the connected MySQL server, disconnecting from the server when done. Its feature set is sufficient for most common and advanced database, table and data record operations but remains in active development to move towards the full functionality expected in a MySQL Frontend. phpMyAdmin is a FREE browser based tool written in PHP intended to handle the administration of MySQL over the Internet. phpMyAdmin supports a wide range of operations with MySQL, the most frequently used being the managing of databases, tables, fields, relations, indexes, users, permissions. You still have the ability to execute SQL statements directly as well. Most hosts provide this tool as standard, but if you have your own server, you can install this on your own website. Another studio containing a complete collection of tools for MySQL Server administration. Developers will appreciate its ability to create/edit/drop database objects, DB synchronization, and data export/import. DBAs can also use MyDB Studio to perform database migration, as well as backups and restores. It supports SSH tunneling to secure your connections, which allows you to connect even if your host doesn’t allow you remote access connection, user and privilege management, and PHP script creation. EMS SQL Management Studio is one of the best complete solutions for database administration and development across multiple platforms. SQL Studio unites all must-have components that focus on the most critical database management tasks in one powerful and easy-to-use environment. SSMS is an integrated environment for managing any SQL infrastructure, from SQL Server to SQL Database. SSMS provides tools to configure, monitor, and administer instances of SQL. Use SSMS to deploy, monitor, and upgrade the data-tier components used by your applications, as well as build queries and scripts. Use SQL Server Management Studio (SSMS) to query, design, and manage your databases and data warehouses, wherever they are – on your local computer, or in the cloud. SQL Server Data Tools is a modern development tool that you can download for free to build SQL Server relational databases, Azure SQL databases, Integration Services packages, Analysis Services data models, and Reporting Services reports. With SSDT, you can design and deploy any SQL Server content type with the same ease as you would develop an application in Visual Studio. SSDT 15.5.2 is a standalone web installation experience for SQL Server Database, Analysis Services, Reporting Services, and Integration Services projects in Visual Studio 2017 15.5 or later. Killer free tools for SQL Server that improve database developer productivity. If you know a useful tool that should be added to this page, send me the details below. Why are you recommending this tool.